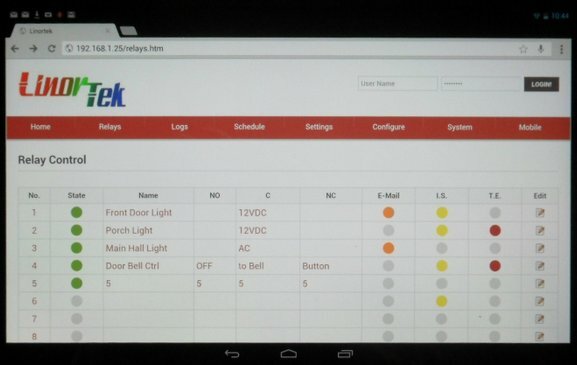 There are more and more “IoT” solutions for home or industrial automation which allow you to control your lights or other equipments remotely with your smartphone or tablet. Many of them are DIY with boards such Arduino or Raspberry Pi combined with an expansion board featuring one or more relays, and some of them can be used out of the box such as Linor Technology Fargo boards. 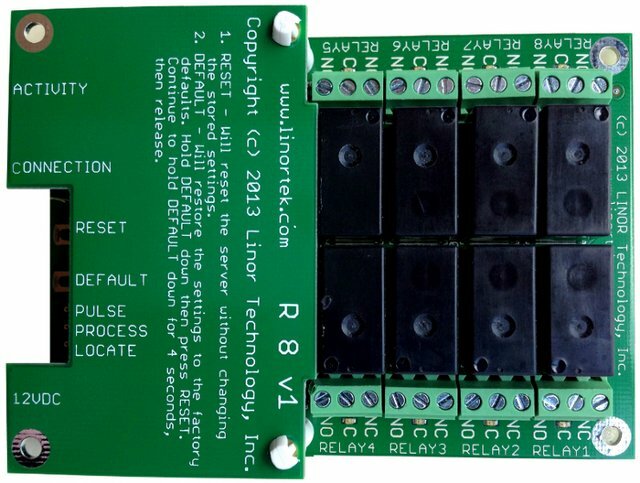 The company designed 4 boards that are powered by a Microchip PIC32 MCU with a small NOR flash, provide Ethernet connectivity, and run a small webserver that allows you to monitor and control the relays with any connected device that can run a web browser. Temperature and power supply sensors. 4x Opto isolated digital inputs with 2 screw terminal connector for each. The nomenclature of the board is actually easy R4/8 stands for the number of relays, DI for the presence of digital inputs, ADI for both analog and digital inputs. There’s no programming or software setup involved, as the firmware is already pre-loaded in the boards. You can access the web interface below via any browser to control the relays, enable email alerts, for example, if a temperature threshold is reached, check the logs, schedule relays, and more. Linor Technology has launched a Kickstarter campaign (now 75% funded) to mass-produce the boards. A “super early bird” $69 pledge will get you a Fargo R8 (for some reasons R4 is only available in bundles) with a power adapter, and a 1-meter Ethernet cable, and $379 will get you the 4 boards with power supplies and Ethernet cables. Other pledges are also available. Shipping is free to the US, but you’ll need to add $10 to Canada, and $15 to the rest of the world. Future plans include a Wi-Fi version, and support for RESTful web API.